Some great works of art are simple—they focus attention only on what needs to be said. 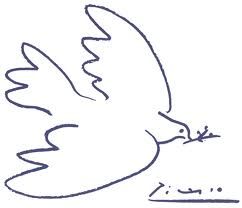 Picasso’s Dove of Peace is a powerful symbol of hope because the stark simplicity makes the drawing itself appear to take flight. The music of Erik Satie or Henryk Górecki, or Catch the Wind by Donovan captivate because the musical message is uncluttered. So it is in cooking as well. Nothing symbolizes the guileless goodness of home and family like a simple soup. 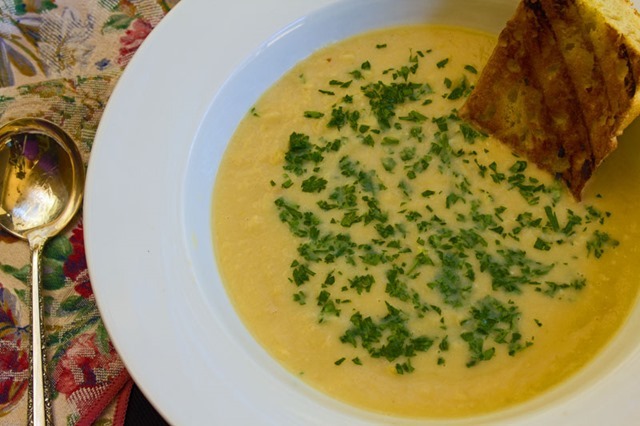 And soup doesn’t get much simpler than this. 5 ingredients, 15 minutes. Italian inspired. It reminds me of autumn as we suffer through end-of-the-summer heat. Use canned beans if your desire for soup is sudden; if you have time to plan, dry beans are better. You can gussie this up by adding rosemary, sage, or bitter greens but it doesn’t need it. Just beans, onions, garlic, parsley, and some olive oil. And please don’t add cream. I’m on the warpath against adding cream to most soups. It just kills the flavor. The beans themselves provide all the creamy texture you need. If you’re using dry beans, the cooking water is your broth. With canned beans (drained and rinsed), use a light chicken or vegetable broth. In most U.S kitchens, the only nut butter to make an appearance is peanut butter, which stars in the much beloved peanut butter and jelly sandwich but seldom finds its way into savory dishes. But nut butters, including peanut, almond, cashew and walnut, are common ingredients in Asian and African cuisines. It’s a great way to add flavor and body to sauces and purées and it’s easy to make. 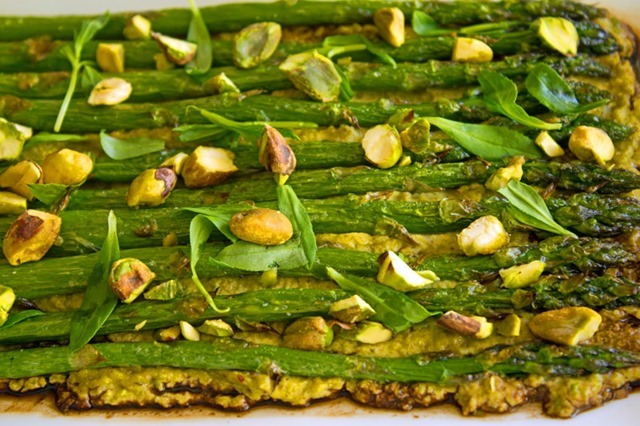 Since its still the season for fresh asparagus and I’m running out of ways to serve it, I adapted this recipe from Herbivoracious. Tweeks to the original? I like thin spears slightly undercooked and wanted a lighter purée, so I broiled instead of roasted and added more water to the purée. Onions are shifty. Acrid and sulphurous when raw, add a little heat to breakdown the cell walls and release those pungent irritants and they become mild and pleasantly sweet. Add some time to get the Maillard and caramelization processes going and they become sugar bombs sweet enough to make a bitter man cry. But caramelized onions are so sweet they are typically used only as condiments or a side dish. A plate full of caramelized onions will be cloying and tiresome. Is there a way to use them as the star of the show? We need something to absorb their flavor. Pasta will do and linguine should blend nicely with the long strands of onion. But soft pasta and even softer onions will not have much texture. Adding some crunchy breadcrumbs will give you something the chew on. But how do we provide some balance for the excessive sweetness? The solution is the Mediterranean condiment gremolata, a combination of parsley, lemon zest, and garlic. The grassy flavor of the parsley and the sharp, citrus notes of the lemon zest provide a refreshing contrast to the saccharine onions. 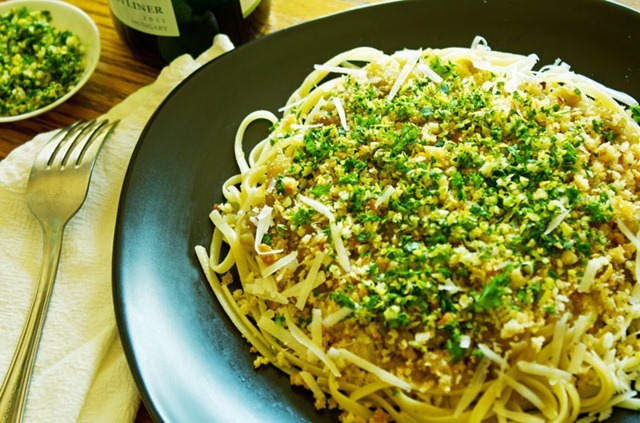 Add some Parmesan-Reggiano to bring out the nutty dimension of the caramelized onions and we have a well-balanced dish featuring the onions as the star. Given the sweetness of the onions, a good, off-dry Reisling from the Mosel would pair well. 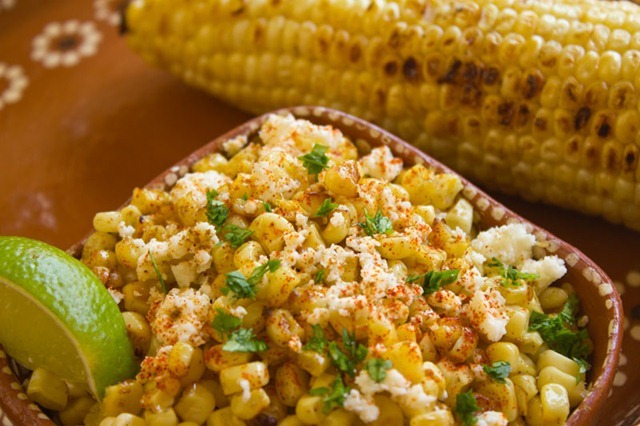 Elotes are street food found all over Mexico or in the States wherever Mexican-Americans assemble. Corn, roasted or boiled in the husk, served on a stick and smothered in mayo, cheese and spices—they are a perfect combination of creamy, spicy, and hot. But they are a four-napkin affair. With a kernel-studded, cheese-spattered mug, your dinner party aura or sartorial poise might utterly collapse. So for those times when gnawing on a stick is ill advised, the corn is cut from the cob and served in a cup layered with the rest of the ingredients. So served they are called esquites and they make a great side dish for a Mexican feast. I’m not a mayo fan, but it’s essential for this dish. But I give it a fresher flavor by adding corn milk scraped off the cob. You can char the cut corn on the stove or in the oven, but you lose the roasted flavor of grilled corn. Recipe is below the fold. 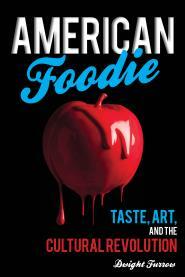 Elizabeth David’s influence on English cuisine was not unlike the influence of Julia Child in the U.S. In the aftermath of WWII, she brought the vibrant, variegated, agile flavors of the Mediterranean to the shores of the British Isles where frumpy, monotonous cookery had made British stoicism such a virtue. David wrote in an age when cookbooks were not just a set of utilitarian instructions but were an occasion for wit and personality, which leavened her often imperious proclamations about the horrors of the British diet. One of my favorite David recipes is this over-the-top chronicle of butter-infused spinach which she discovered in a turn-of-the-century magazine. Written by Jeanne Savarin, the recipe is alleged to be a favorite of her great-great uncle the 18th century gastronome Brillat-Savarin, created by his friend the Abbé Chevrièr.. This recipe, from French Country Cooking, puts a fine point on the French reputation for excessive use of butter. The admonitions against the temptation to shorten the procedure suggest that even French cooks might wonder at the extravagance. On Wednesday (for Sunday) choose your spinach, young leaves, neither too old nor in flower, of a good green and with their middle ribs. In the afternoon clean the spinach, removing the stalks, and wash it carefully. When it is tender, drain it in an enamel or china colander; drain out as much water as possible by pressing the leaves firmly down in the sieve; then chop them finely. Now put them into a pan (enamel or glazed earthenware) with some fine fresh butter and put on to a very low fire. For a pound of spinach allow 1/4 lb. of butter. Let them cook gently for 30 minutes, then take them off the fire and let them cool in the same pan. They are not to be served today. Thursday: Add another 1 1/2 ozs. of butter to the spinach, and cook again for 10-15 minutes over a very low fire; again leave them to get cold; they are not to be served yet. Friday: Exactly the same operation as the previous day, the same quantity of butter, the same length of cooking. Do not be tempted. Saturday: Again the same operation as Thursday and Friday. Beware of temptation; the spinach will be giving out a wonderful aroma. Sunday: At last the day of for your expected guests has arrived. A quarter of an hour before you intend serving the dinner put the spinach again over a low flame, with two good ounces of butter, for 10-12 minutes. This time, take them out of their pan and put them in a warmed vegetable dish and serve them very hot. 10 1/2 ounces of butter for a pound of spinach! Even David thinks this a bit much—she advises 2-3 lbs of spinach. So is this dish good? It has a gossamer, oily texture and concentrated spinach flavor. But perhaps not worth the lengthy operation. But I wish more cookbooks today were like a conversation instead of a car repair manual.